The goodies are (not) up for the taking! Do you too find it hard to stay off the candies, cookies, chocolate or chips? Knowing that they are there for the taking. 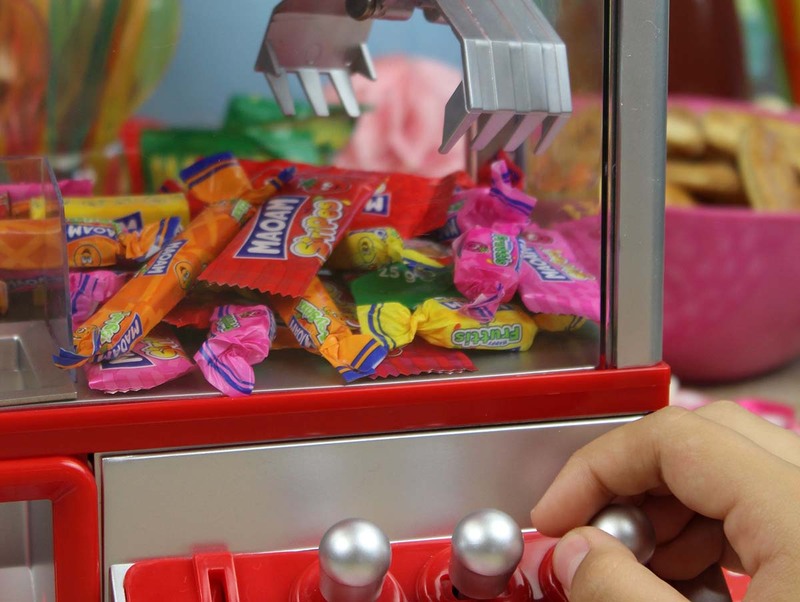 This Candy Grabber will make sure you don't eat everything at once, but will have to fish every piece of candy out separately by using 3 handles to control that terrible claw-grabber. D'you think? So why don't you just go ahead and take the lid off. Unfortunately, you won't be able to because it's screwed on real tight. 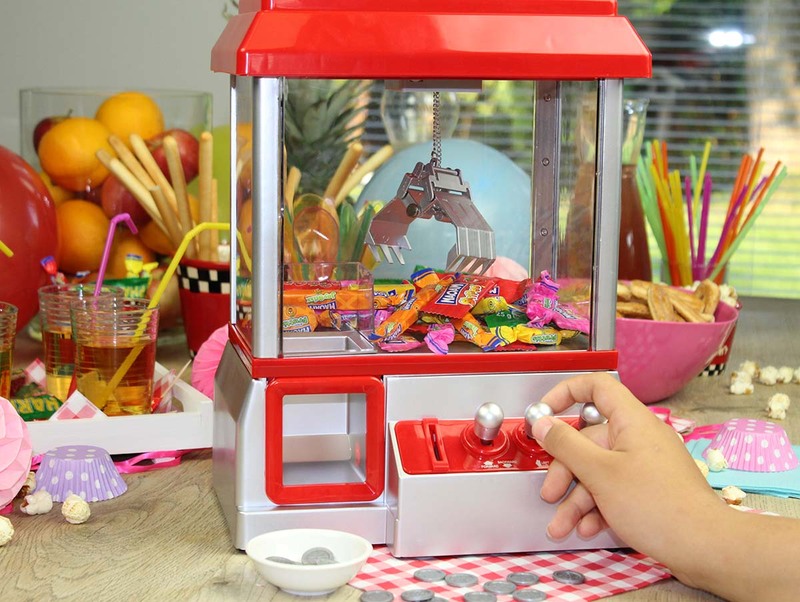 There's only a hole in the top where you can throw candy in but that's too small to put your hand through. As soon as you drop a coin in the machine it will start playing music. 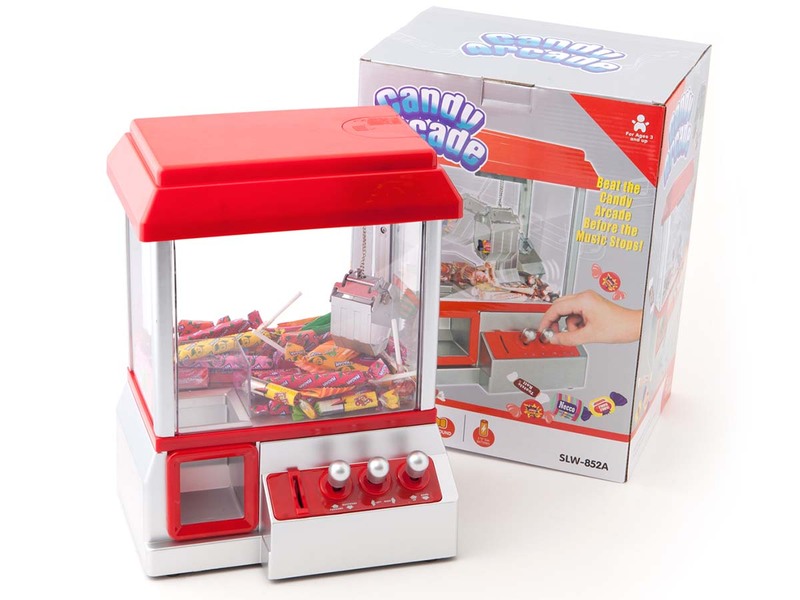 Starting now, you have 75 seconds to use the controls to grab the candy and move it towards the opening. The music will play faster and faster to let you know your time is almost up. You better make sure you're on time! It comes with coins, but it also works if you put money in. 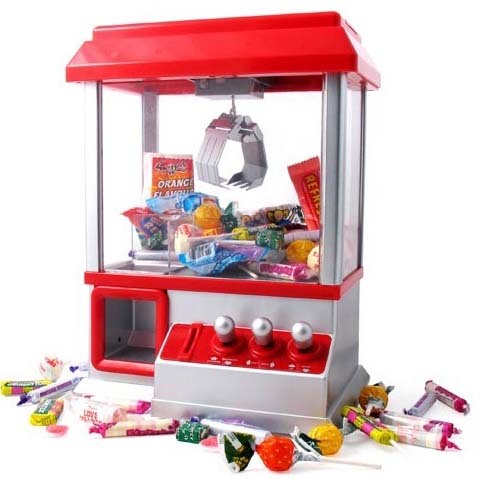 A great way for kids to earn a little extra pocket money! 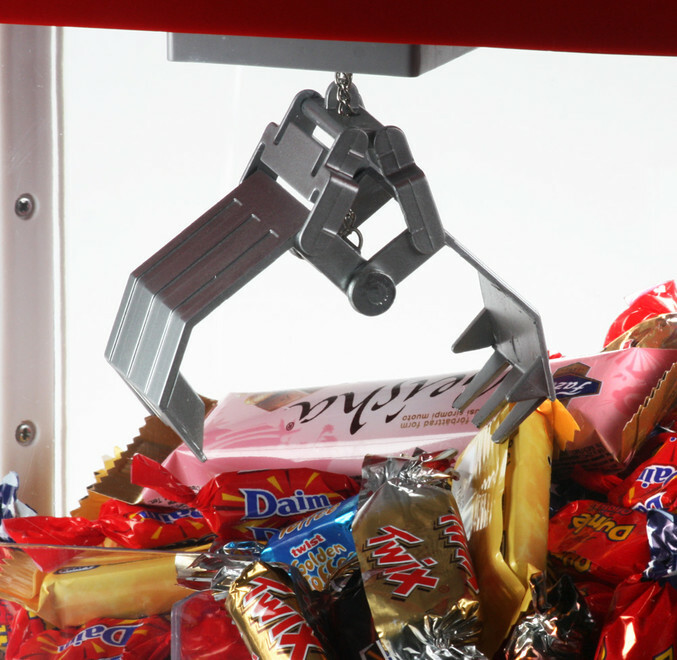 Have your own claw-grabbing machine in your living room. 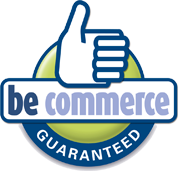 Bring the fair to your home today and find out how fantastic it is.